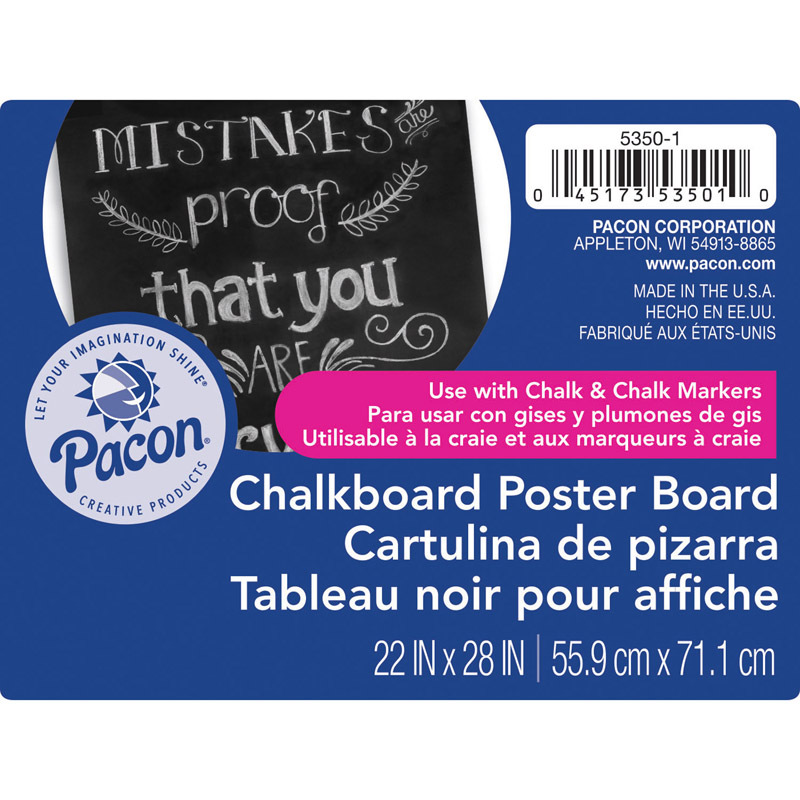 This specially coated black poster board is designed for use with chalk and chalk markers. It has a dark black coating that provides great contrast with white and colored chalks. Board wipes clean with a damp cloth or a felt eraser. Easy to customize for signs, posters and photography props. Each board is 22" x 28". Durable 18 pt. board.